Founded in 1997, Aztechy Power Technology Co., Ltd is the professional manufacturer of marine generator, RV generator, ultra-silent generator, brushless AC alternator and AVRs. OEM of Kubota, Doosan, FAW and LOVOL diesel engine, and agent of SmartGen genset controller. Marine Generator - range from 5-30kW, powered by Kubota, Yanmar and OUMA engine. Rainproof Ultra-Silent Generator - range from 8-300kW, powered by, Kubota, Doosan, Perkins and OUMA engine. 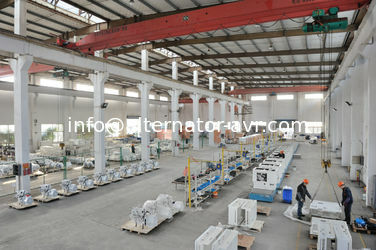 Alternators - rating from 5.4KVA to 2830KVA, 50Hz/60Hz with class H insulation as standard. 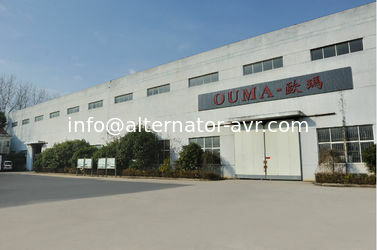 All kinds of AVR series such as Stamford, Leroy Somer, Mecc Alte, Marelli, Marathon, etc. Housing&Coupling Disk, PMG, Droop Kits, Rectifier, Diodes&Varistor, Isolating Transformer, Anti Vibration Mounting and other spare parts. 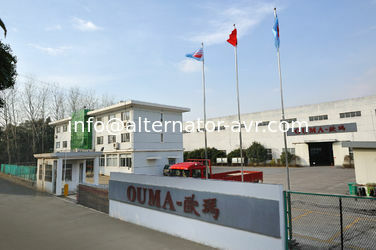 We have passed the certification of CE; CSA; ISO9001. By right of skillful producing technique and exquisite processing technique, our products win trust and recognition of customers. Our products are exported to over 30 countries and regions in Europe, South America, Southeast Asia and the Middle East. Aztechy Power enjoys an excellent reputation at home and abroad. Holding “Fine Materials, Perfect Manufacture,Efficient Management” as its production principle, Aztechy Power adopts the strict quality inspection in every material, parts and components, production procure and product. At APower, we are committed to providing the highest level of customer service, competitive pricing, speedy delivery and a comprehensive, cutting-edge product offering. Our ultimate goal is your satisfaction. We understand how important it is to get orders delivered on time and, when production schedules are at stake, you can rely on Aztechy Group to deliver the components you need. Your orders are carefully packed, using shielded, conductive or vacuum-sealed packaging where necessary, so you get your parts in perfect condition. In addition, all our suppliers are constantly monitored to ensure you receive the highest standard of quality. Expert sourcing through our global, quality assured offices gives full traceability to ISO 9001:2008 compliant standards. This combined with comprehensive testing services from X-Ray to full functional testing and the Aztechy Group 1 year guarantee allows you to buy with complete confidence. Our highly experienced research and design engineers are committed to developing innovative and practical electrical products which meet our customers' specialized, particular needs. Our professional standards and expertise allow for individualized tailoring of existing products or development of new, customer-defined goods.